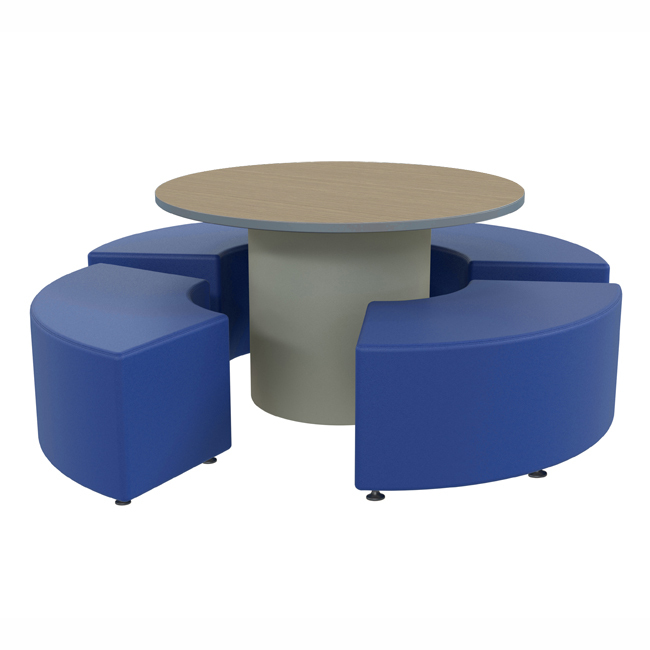 The Round Table and Chair Package by Marco Group offers a complete seating solution for your customers, students, and employees! Featuring one large table and four seats, this table & chair set provides a comfortable, stylish, and welcoming seating solution for your cafe, customer lounge, and employee meeting room! The table is made from a heavy-duty particleboard core with thermo-fused laminate tabletop while the chairs is made from a solid 3/4" plywood structure with foam padding and highly-durable vinyl upholstery. A padded vinyl base provides a solid footprint while protecting the table's frame from scuffs and scratches.